Medium-bodied with leather and wood notes reminiscent of a centuries old violin factory. Bowmakers is medium-bodied with leather and wood notes reminiscent of a centuries old violin factory. Amongst the transcendental woods of the 1800s, craftsmen from the Massachusetts Bay Colony built violins & bows in the tiny towns of the Pioneer Valley. The shops were riddled with old growth mahogany, burled maple shavings, amber pine rosin, aged walnut & their unique secret varnishes." Fragrances may not be returned or exchanged. D.S. & Durga makes fragrances designed to transport the wearer to different worlds. A partnership, D.S. is the master perfumer behind all of the lines distinct fragrances. Durga, a former architect, is responsible for designing the bottles and packaging. The bottles are modern and architectural with clean lines and bold features, mirroring the classically made fragrances within. Using unique natural ingredients D.S. 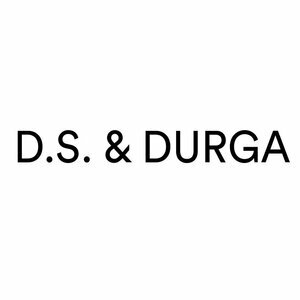 & Durga creates fragrances that promise to become a one of kind extension of the wearer.